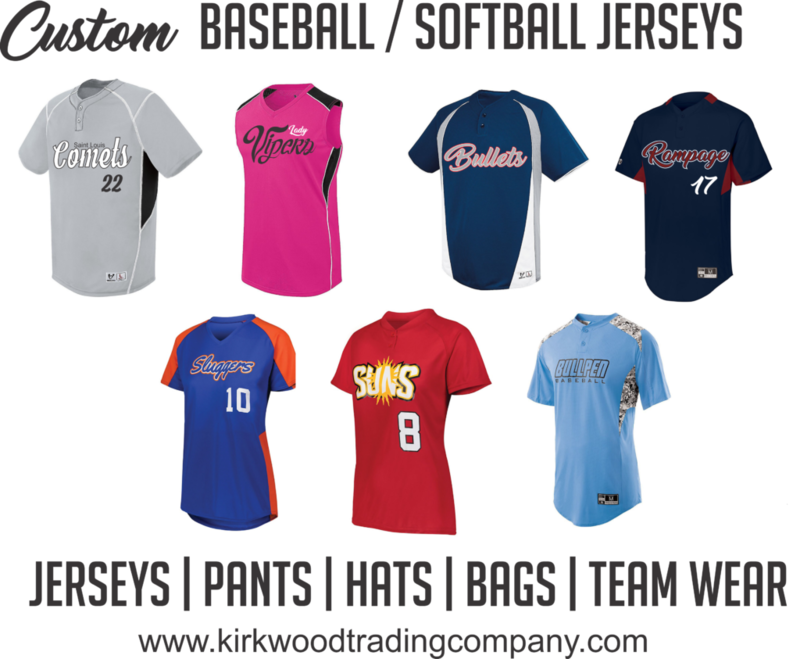 If you are looking for a one stop shop for custom team baseball jerseys for 2019, you’ve come to the right place. Kirkwood Trading Company has been a local uniform supplier for over 20 years. We carry all of the traditional styles as well as the styles new for 2019. Nothing is new as far as material. 100% polyester moisture wicking materials are still the material in demand for custom team baseball jerseys. Now there are more options in regarding multiple color jerseys. Different patterns and textures and accent placement. The newest baseball uniform style is our ability to dye sublimate the entire jerseys. 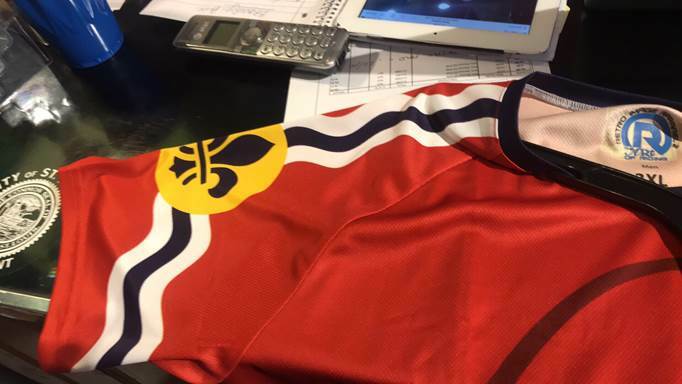 Dye Sublimation is a very popular method of printing that enables us to print the entire jersey and has zero texture. Here is an example of jersey we printed using dye sublimation. Depending on your specific needs dye sublimation jerseys can often times be the same cost of comparable custom team baseball jersey that is more traditional. From full button baseball jerseys to w button plackets and standard traditional non button jerseys, we have them all from a variety of brands, styles, and color combinations. In addition to the custom team baseball jerseys we also carry a full line of team socks, pants, hats, and bags. So we are able to outfit your entire team in one stop. We are a full service custom team baseball jersey shop. We provide the jerseys, printing, lettering and numbering. If you are interested in pricing for your team, contact us. We can get the process started and it’s very simple. Just tell us your colors and we’ll provide you with options and pricing. From there we can provide you with the items for team fitting and then production. It’s that simple. We can also provide all of your team spirit wear as well. We can print it by demand or setup a free online team store to sell team apparel merchandise.